Would you, could you? 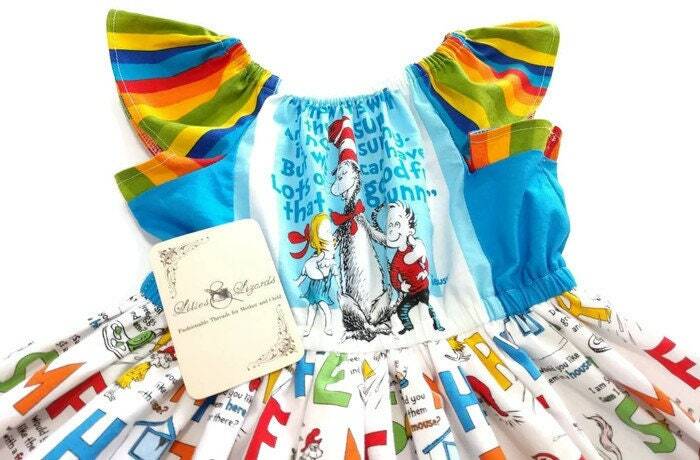 Green eggs and ham Seuss alphabet dress, ready to ship in size 6!! 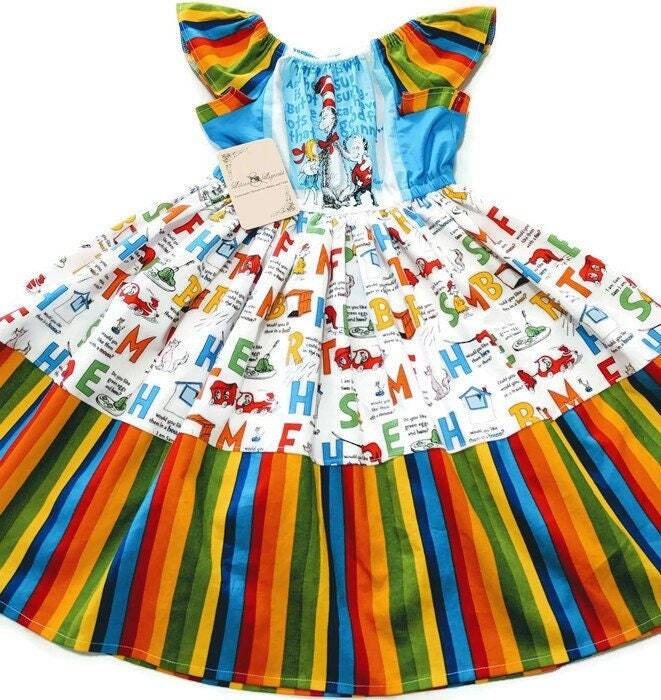 Bright colors, full skirt, and flutter sleeves. 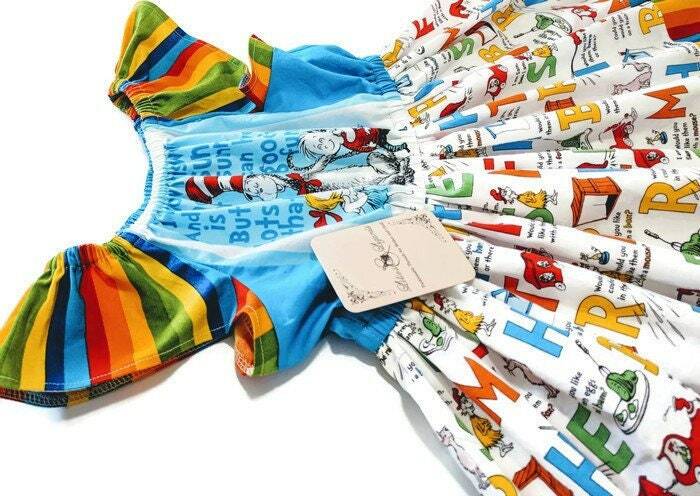 Both neckline and waist have elastic. 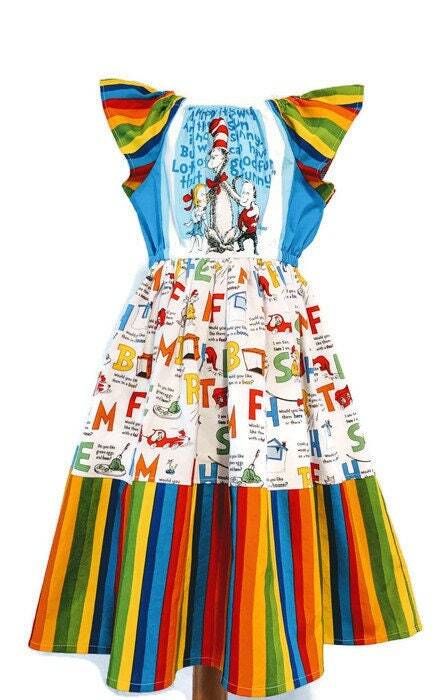 Perfect dress for Book Week!